BALI - FEBRUARY 13. Line fishermen on Jimberan beach on February 13, 2012 in Bali, Indonesia. Local fishermen find it harder to make a living due to a lack of fish caused by industrial fishing. BALI - FEBRUARY 13. 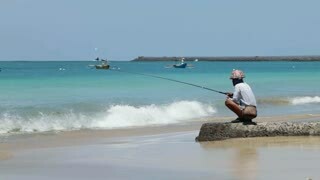 Line fisherman on Jimberan beach on February 13, 2012 in Bali, Indonesia. Local fishermen find it harder to make a living due to a lack of fish caused by industrial fishing. BALI - FEBRUARY 13. 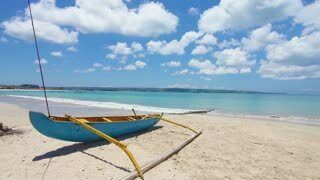 Fishermen on Jimberan beach on February 13, 2012 in Bali, Indonesia. Local fishermen find it harder to make a living due to a lack of fish caused by industrial fishing. 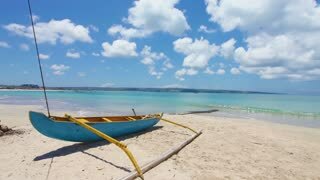 BALI - FEBRUARY 13: Timelapse of fishing boat and fishermen on February 13, 2012 in Bali, Indonesia. Fisheries Minister Fadel Muhammad said Indonesia will become world's largest fish producer in 2015. 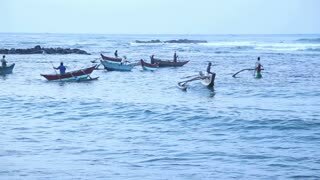 View of local fishermen in the ocean in Mirissa. These traditional fishermen find it harder to make a living from poor fishing catches. GALLE, SRI LANKA - MARCH 2014: Local fisherman fishing from a rock in Galle. These people find it more difficult to make a living due to over-fishing.